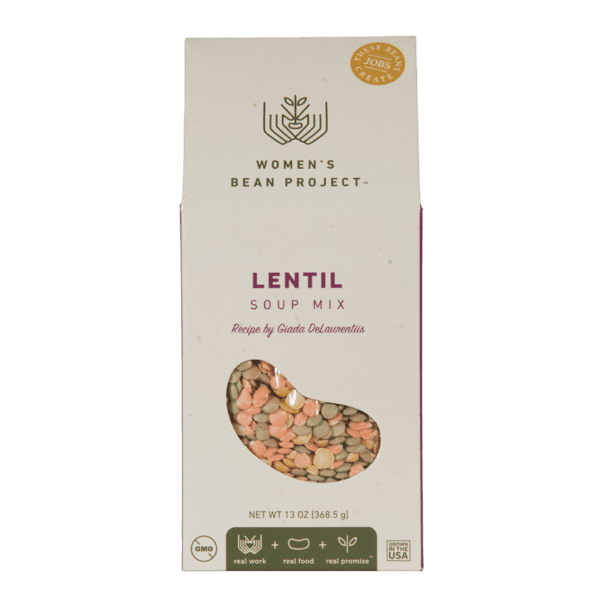 Women’s Bean Project’s Lentil Soup Mix, Recipe by Giada De Laurentiis with brown lentil, yellow split pea, red lentil beans and a premium blend of spices tastes just like homemade lentil soup. I have made this several times. I add carrots, onion, and celery. I use chicken broth as the liquid. Serve it with freshly grated parmesan. Delicious! Trying the chili tonight with grass fed beef. I’m making jiffy corn bread muffins, I will now order some of your cornbread mix now that I know about it. Keep up the good work. Hi Heidi! We are so happy to hear you enjoy our Lentil soup! We hope you liked the chili just as much! Thank you for your kind feedback, and your support of our products and mission. We hope you continue to do so in the future! Excellent soup! 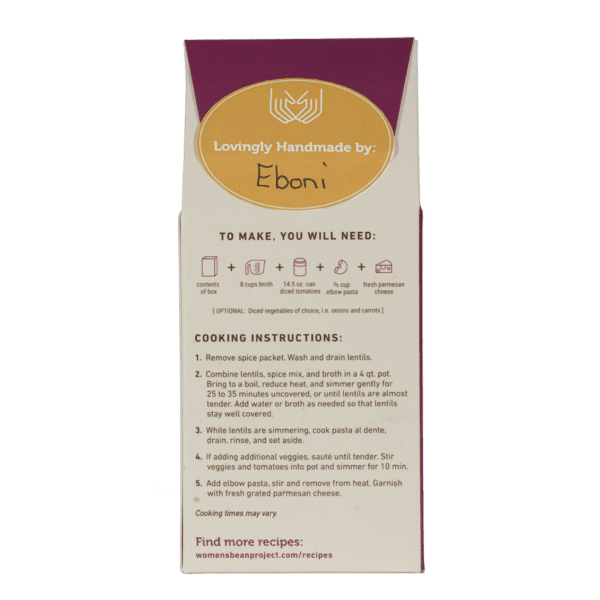 The spice mix is amazing and the recipe provided was very helpful! 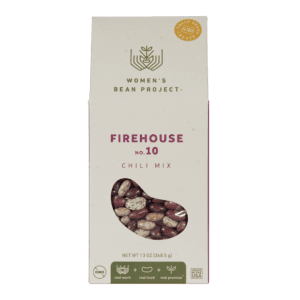 I thought I bought this in the store but could not find it anymore so I am happy to order from the website. Now I can see all the other wonderful products that I can buy as well! Keep up the fantastic work! Hi Ruth, thanks for the question, yes it is, as are all our soups! 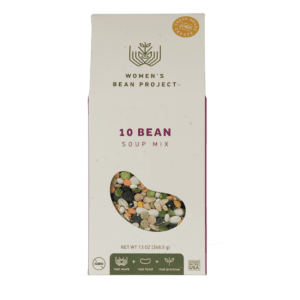 I am gluten free and would like to try this soup which was highly recommended by a friend. Is it gluten free? Sugar?? Why? 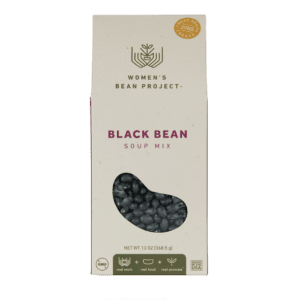 This is the only one of the Bean Project soups that contains sugar, which means that we are going to have to skip it. We are trying to eliminate unnecessary sugar from our diets. Soup is about the last thing in the world that needs to have sugar in it. 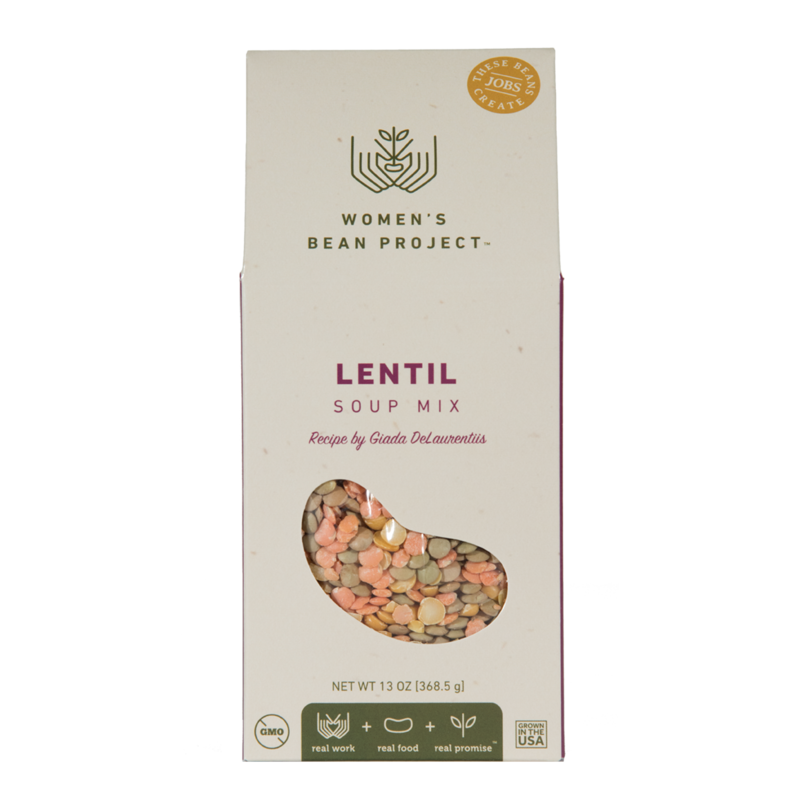 If the Bean Project would re-think its formulation, we would be delighted to try the lentil soup in the future–we love lentils. Meanwhile, we are going to stick to the other soup products. Thank you so much for your feedback on our Lentil Soup regarding the sugar. We value our customer feedback and will discuss this with our product development team. Although it is a low amount of sugar in the spice packet, the lentils themselves do not have sugar. We do hope that you will try our soup in the future! Thanks so much for your support and feedback. We wish you and your loved ones a Happy Thanksgiving. Thanks Lauren for the glowing feedback! Glad you liked it and good on ya for making it with what you add. All our soup recipes are flexible that way and it’s fun to see what adaptations you all come up with! I make a lot of soup. I have made it from scratch, used starter mixes, tried all sorts of kits. And, this soup was beyond fabulous!!! I added 13 cups water, 12 chicken bullion cubes (yes, recipe calls for 8 cups broth…I added more), about 3 cups cooked whole wheat rotini noodles (hey, it is what I had), half bag of frozen carrot coins, one can stewed tomatoes (chopped them up…again, it is what I had), one onion and about 7 stalks celery chopped small and sauteed in a half of stick of salted butter, and about 3/4 cup additional lentils. Cooked it about an hour. Seriously….BEST SOUP EVER!!! Thank you so much Christy! We love hearing about the different ways our customers prepare our products. We are so glad it was delicious! This soup was fantastic! The spices were perfect. There were a few changes I made. I cooked soaked the lentils overnight, drained and rinsed. I did not add the pasta, but added cut up bacon instead and sautéed the veggies (onions, carrots, celery, red pepper, stewed tomatoes) in 2 T. bacon fat. 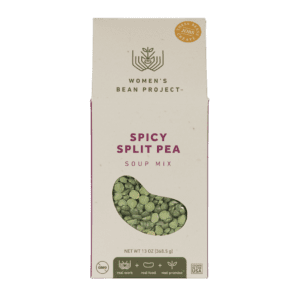 When veggies were tender and lentils cooked, I combined and simmered for about 40 minutes. Absolutely delicious! You’re the best Christine! 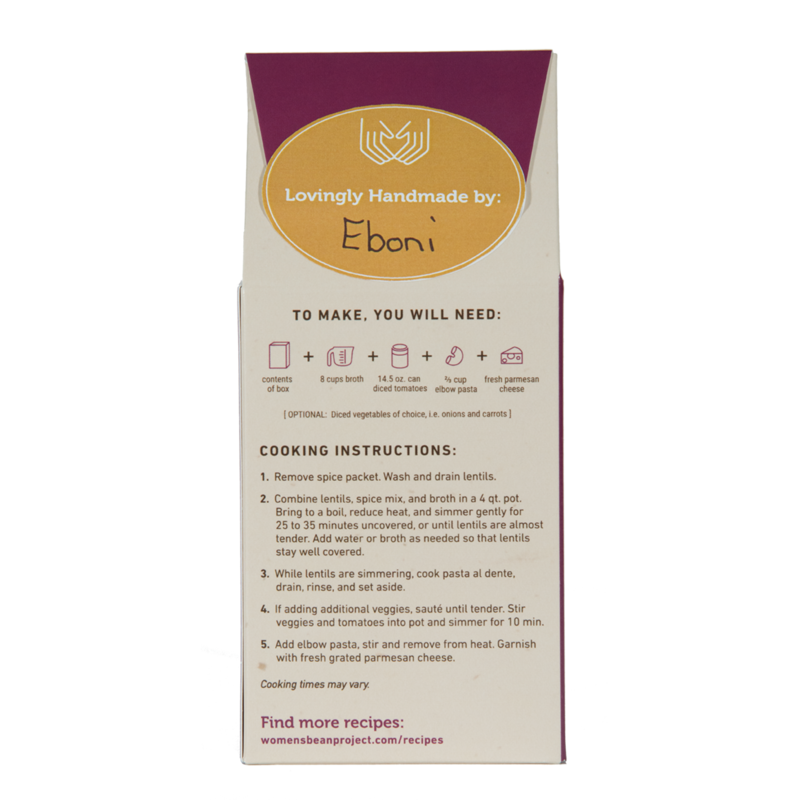 Thank you for all your amazing feedback on the variety of soups you have tried. We are so glad you keep coming back and sharing your thoughts on our lovingly handmade and delicious products! We are so appreciative of your continued support. I made this delicious soup twice and am back to purchase more. Even my picky daughter loved it. Very easy to put together for a winter supper. Great idea Susan! Next time you make our Giada DeLaurentiis Lentil Soup and make it a gumbo, share your recipe and pictures with us on social media or email us at [email protected] as we would love to share it with others! We made this soup and my family loved it so much that my husband made it the next night! We sent some to our daughter who made it for a group of people and they asked for more. I would like to add some sausage or shrimp to it to make it like a gumbo.